With PHPFox, you have the ability to change the logo on your website with a feature present within the AdminCP area of your website. 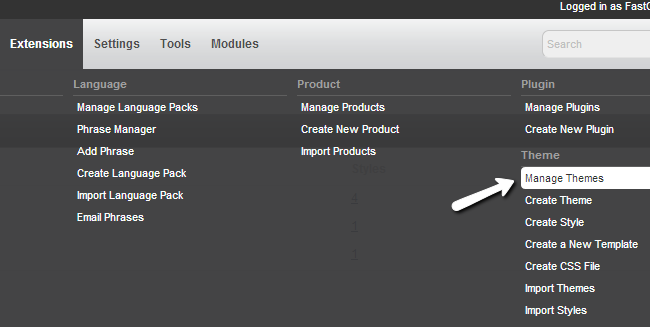 Select the Extensions tab from the top menu and then Theme > Manage Themes. Click on the Arrow drop-down button next to the current active theme on your website and then Manage Styles. This is usually the Default theme of PHPFox. Select the Arrow drop-down button next to the style that you have set on your website as active and then Change Logo. This is usually the default style for the default theme of PHPFox. Select the logo image from your local computer, choose if you need the system to automatically resize it. Click on the Upload Logo button to keep the changes. That’s it. Once you complete the steps above, you can refresh the front-page of your website. The logo will be displayed properly on the top-left corner of all pages.